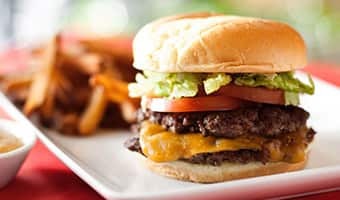 Looking for a restaurant to take a group of 20+? 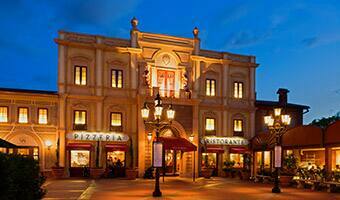 Here are some favorite restaurants on property that have space and can take team reservations. 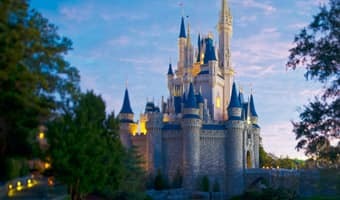 These are just a few of the nearly 275 dining options available at Walt Disney World Resort, where there is a flavor for every Season and something for every taste and dietary need. 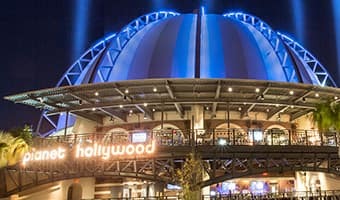 Enjoy a star-studded, movie memorabilia filled dining experience! 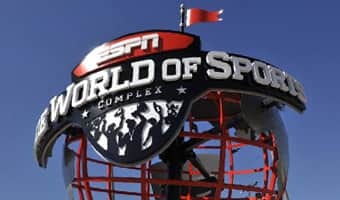 Following lunch or dinner, you and your team will be just steps away from Disney Spring's West Side attractions like AMC Theaters and the shopping in Disney Springs Marketplace. With long tables perfect for teams and a menu highlighted by authentic Italian pastas and pizza, Via Napoli at Epcot® is an athlete favorite. 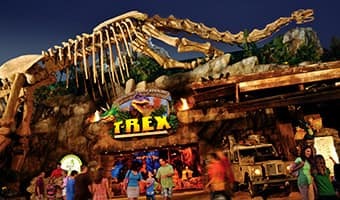 Perfect for younger teams, T-Rex is a dinosaur-themed, prehistoric family adventure in Disney Springs. 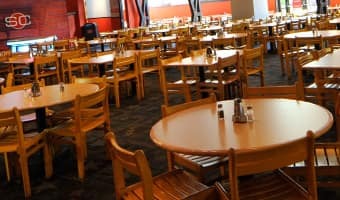 Reservations can be made up to 180-days in advance, and the large dining areas can accommodate even your largest herd of players. View the complete, sortable list of dining options to customize your team travel dining experiences.